You can’t have good reviews without good service. From the initial consultation to customer service to the quality of care, it’s important to make sure patients are have a superior experience at your practice. Continuous assessment of your in-house operations and customer service protocols is key to ensuring you’re providing the best care to every patient. 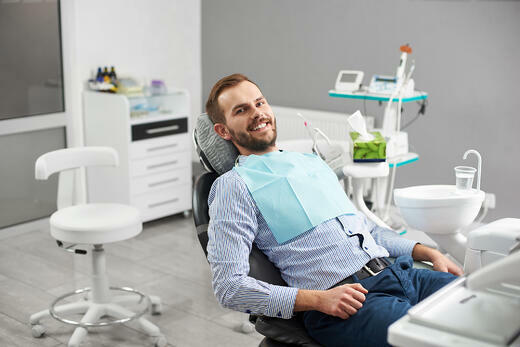 Nothing beats a happy, satisfied patient who’s ready to rave about your services. These are the patients you want to ask to endorse your practice by leaving a positive review. It’s a win-win process: They will feel valued for their opinion and empowered to continue “spreading the love” about your practice. Incorporate positive reviews into your marketing strategy by including them in your social media, digital ads, radio ads and other marketing channels. This will not only motivate other patients to share one, but you can use these reviews to attract new patients. Positive reviews are a form of online word-of-mouth marketing, and promoting them can be instrumental in your success. Having an online presence comes with pros and cons. Although you may try to make everyone happy, there will be times when a patient is not satisfied with your services. They’re most likely to share negative reviews, which have the potential to hurt your business. That’s why online reputation management is essential. If you find your dental practice being targeted by bad reviews, address them immediately, as 53% of customers expect businesses to respond to these reviews within a week. To do this, be sure to claim your accounts on Yelp, Google My Business and Healthgrades, allowing you to respond to any negative reviews or even get them removed. Having positive patient reviews is a surefire way to help your dental practice thrive. When putting together your marketing plan, having a strategy in place to garner positive reviews from your patients should be a top priority. This can put you on track to gathering 5-star reviews that will help boost your business. The ultimate goal is to acquire new patients while retaining current ones, and positive reviews are key to achieving it.